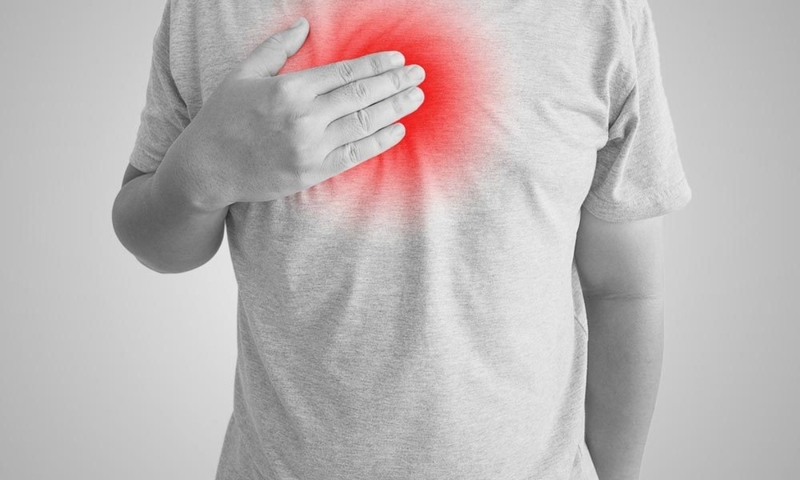 Nearly everyone has experienced a bout or two with heartburn. An annoying, persistent feeling that creeps up especially after eating spicy food, for many heartburn simply goes away after taking the occasional antacid or on its own. However, factors such as diet, lack of exercise, and obesity can cause recurrent heartburn, which may be indicative of a deeper problem. If you have frequent heartburn, which is an episode of burning pain more than two times a week, you should consult your doctor not only for heartburn treatment but also for a workup to exclude other problems. Your doctor may also suggest not eating three hours before bedtime, to quit smoking, and to always drink in moderation. Eating right before bed, smoking, and moderate-to-heavy drinking can all exacerbate the symptoms of heartburn, and make GERD even more unbearable. Essentially, if you are a white male over the age of 50 with recurrent heartburn, it’s wise to get a screening for Barrett’s esophagus. The condition occurs when the esophageal lining changes over time (possibly as a result of frequent stomach acid). When the lining in the esophagus changes, it becomes not unlike the lining of the intestine. Doctors will test for Barrett’s with a biopsy taken while performing an endoscopy procedure. The good news is, if your first screening for Barrett’s is negative, you do not need further testing. If you do test positively, your doctor will likely prescribe medications for GERD, along with advice on healthier eating or lifestyle habits. Barrett’s is not reversible; however, there is a good chance that it will not progress into a more serious condition (such as cancer). If you receive a positive Barrett’s test, your physician is likely to want to test for dysplasia. Dysplasia is a precancerous condition; its discovery informs of the presence of cancer cells, which can often be surgically removed before they progress to cancer. As Barrett’s esophagus is a permanent state, you will likely need regular endoscopies and biopsies performed to ensure there is no dysplasia present. Untreated heartburn can move along in a progressive state. If left untreated, cases of recurrent heartburn may be diagnosed as GERD, which may be indicative of Barrett’s esophagus. Those with Barrett’s esophagus are at risk for developing pre-cancerous cells (dysplasia). If there is no treatment anywhere in this progression, the dysplasia can lead to esophageal cancer, which is preventable with early discovery. While only 1 out of 200 patients per year with Barrett’s develop esophageal cancer, it is still a risk that can be avoided with the proper testing. Like other forms of cancer, it can progress and metastasize. It is recommended that those with a positive Barrett’s test get a test for dysplasia every two or three years. For more information on how to change your diet to avoid heartburn, or for more ways to improve your digestive health, make an appointment at Cary Gastroenterology today. With caring, experienced doctors and staff, your health is our primary concern.